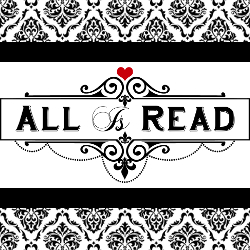 All Is Read : ★★✩✩COVER REVEAL★★✩✩ Chasing Jenna by Micki Fredricks. ★★✩✩COVER REVEAL★★✩✩ Chasing Jenna by Micki Fredricks. If they’d known about ADHD when I was little, my Ritalin dosage would’ve been OFF THE CHARTS!! It goes without saying; I spent A LOT of time by myself after the teacher moved my desk out into the hallway. ** Silver lining** With all that alone time on my hands, I used my imagination to make the world interesting. When I was little, people said I had an "active imagination". In elementary school, teachers called me a "daydreamer". My high school counselor said I needed to “learn how to focus" and my college professors warned me to "buckle down". Before I knew it, it was time to “grow up”. So that’s what I did. I grew up, got married and had five kids. I work as a full time nurse, active in my church, part of the most amazing book club, blog about books with my best friend and cart small humans to school, football, theater, dance ect. Oh yeah...and write a bit when I can and now people say I’m "talented". Moral of my story: Hug your kids, embrace their differences… love them for who they are. Someday, the traits you think are struggles now…Might be what makes them the happiest! Micki lives in small town Iowa with her husband, kids and a fat Cocker Spaniel named Joey. She is the author of Winds of Darkness, released in February of 2013 and Chasing Jenna, to be released Thanksgiving Day, 2014.